Resources for enabling iRise's bi-directional integration with JIRA, TFS/VSTS, Micro Focus (HP) ALM and other ALM platforms. Software development is a team sport. That's why iRise has partnered with Tasktop - the leader in ALM and DevOps integration - to bundle Tasktop Integration Hub with certain iRise products. 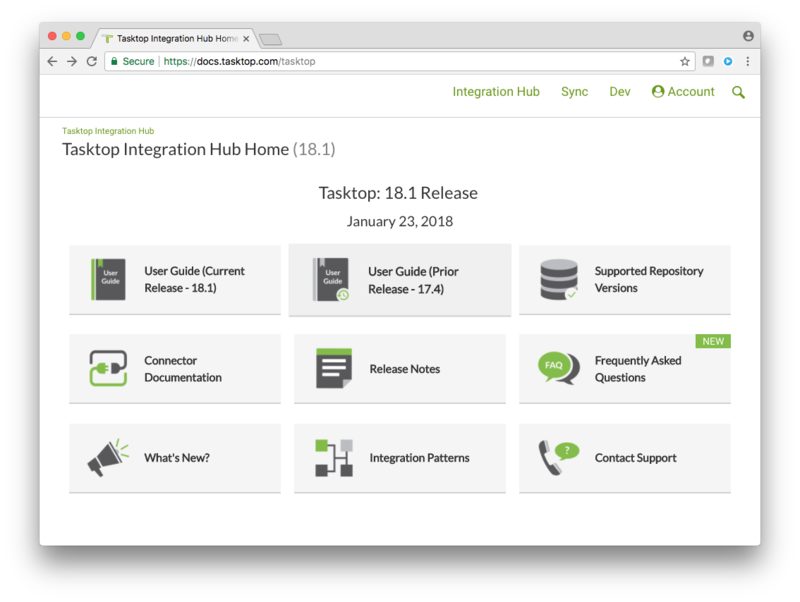 Tasktop Integration Hub (TIH) provides a near-real time, bi-directional synchronization of requirements, stories and prototype links with JIRA, TFS/VSTS and dozens of other platforms that you and your development teams may already be using. This article describes how to access resources that will help you learn about and implement the integration - including free training. *Note: Tasktop Integration Hub is only available with certain iRise products and is not available for Team Edition or Starter Plan. If you don't know if you have acquired an iRise product that supports integration, please contact support@irise.com. 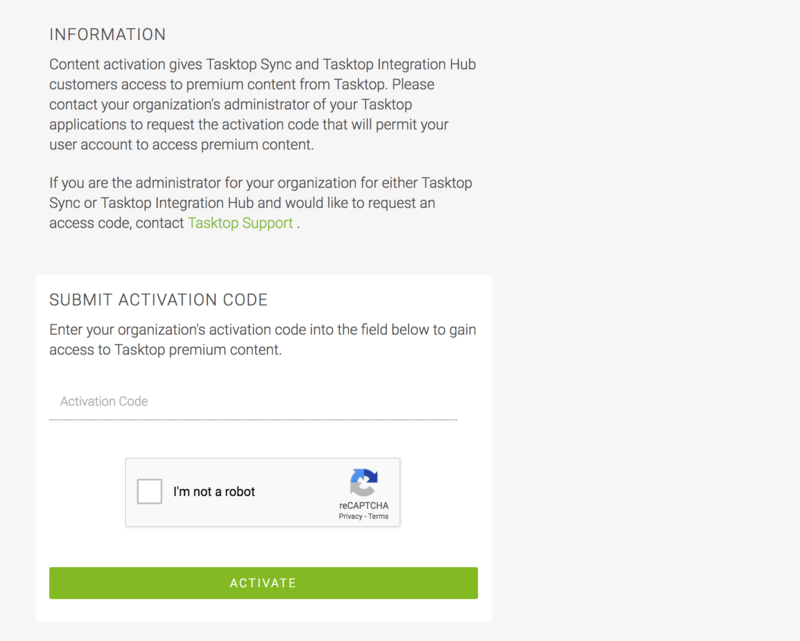 After we process your order, we'll send your organizations' designated technical contact a link to our software download site at https://irise.box.com/v/tasktop-integration-hub. This email will come from support@irise.com. Your license key will come in a separate email from support@irise.com. If you have any issues locating these emails, please contact support@irise.com. 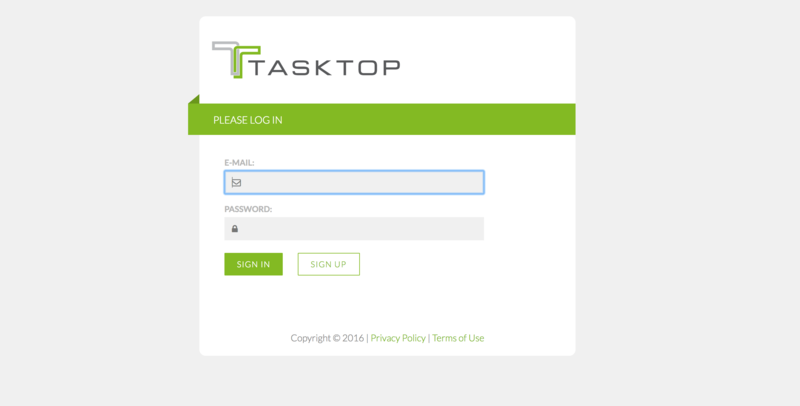 As an iRise customer, you will have access to a gated portion of Tasktop's Customer Portal - which contains the user guides (including hardware requirements and installation), connector documentation, release notes and other useful resources. After you sign up for an account on the portal and log in, you'll need to enter an activation code to access the gated portion of the site. 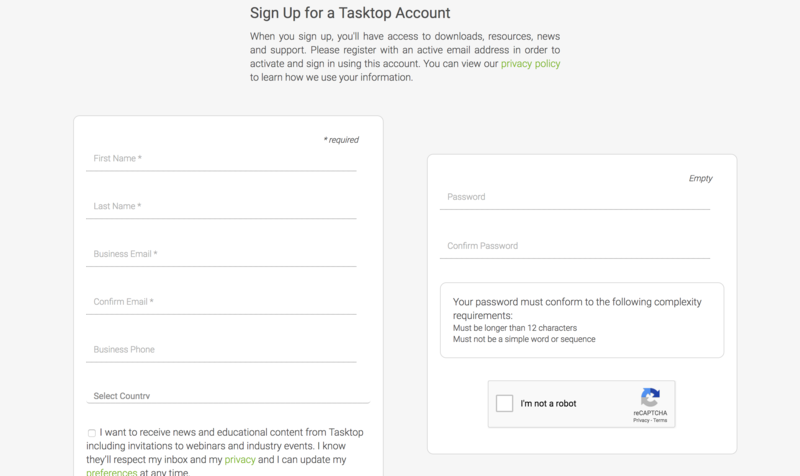 Before you gain access to the customer portal, you will need to sign up for an account on the my.tasktop.com portal. From the home page on my.tasktop.com click on the sign in button at the top right of the page. This will direct you to the sign in screen. From the sign in screen, click on the Sign Up button to get to the sign up form. Fill in the form with your information to create an account for the portal. *Note: the "My Downloads" will not contain anything for you since you will be getting the Tasktop Integration Hub software directly from iRise as described above. Navigating to the "Premium Content" section will take you to a page like this - where you can enter your Activation Code - which will be sent to you from iRise Support. 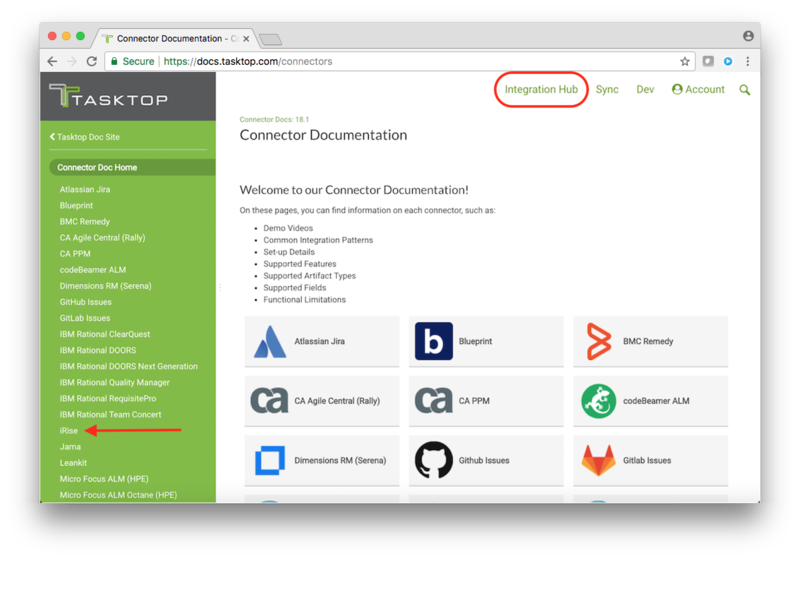 On this page, you can scroll down and click on the iRise link to see documentation specific to setting up Tasktop Integration Hub and iRise. A note about Support - iRise is your first line of Support for Tasktop Integration Hub when you are integrating with an iRise product. Some of the support links on the Customer Portal site above may not work for you - just reach out to support@irise.com and we'll get your issue resolved. 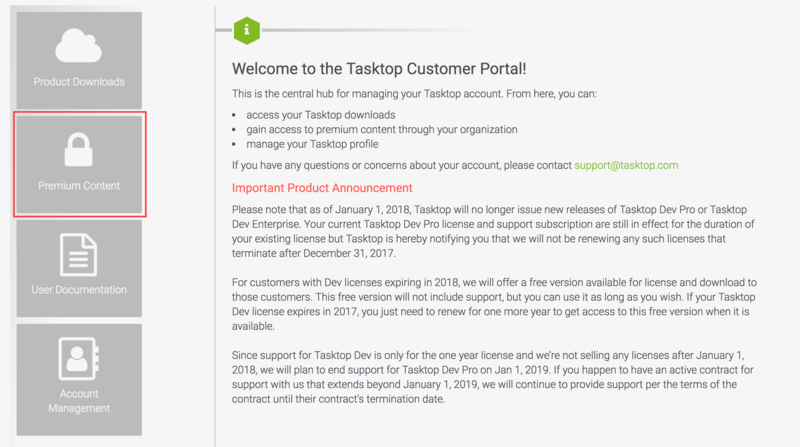 If its anything we can't handle, we'll work with our partners at Tasktop Support - and keep you in the loop until resolution. 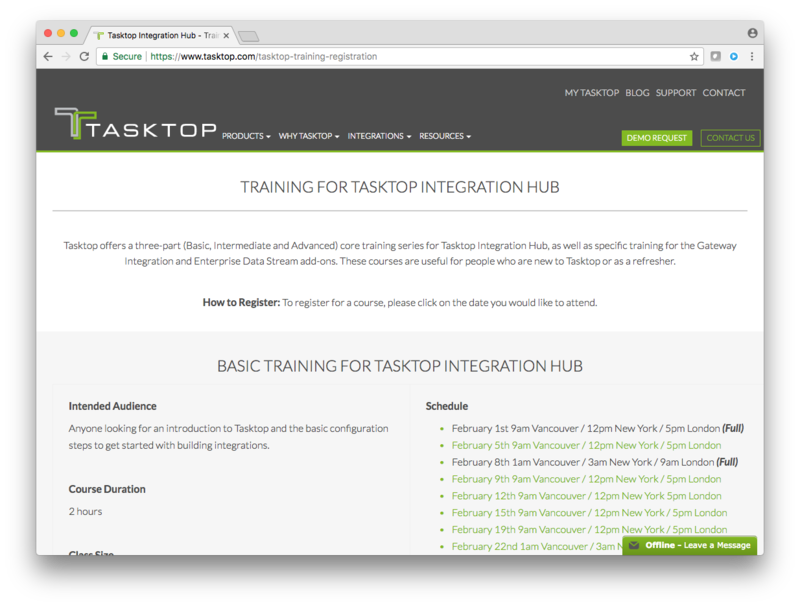 As an iRise customer, you'll have access to free, instructor led, on-line training classes provided directly by Tasktop. You can register for these regularly scheduled classes here. *Note: The training registration link above is a private link for iRise clients and should be used instead of the public registration page on Tasktop's website. If you attempt to register and receive a email popup addressed to Sales at Tasktop, you're on the wrong page - use this link instead. If you have acquired a Quick Start Enablement (QSE) services package through iRise, you should complete this training prior to scheduling the QSE. More information on the Quick Start Enablement services package can be found in this article: Tasktop QuickStart Enablement Package (QSE).